Jake McCabe & Linus Ullmark Autograph Signing! 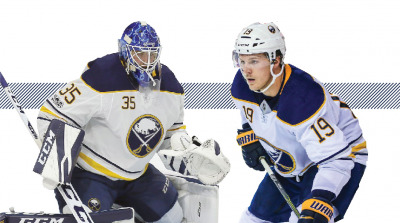 Buffalo Sabres defensemen Jake McCabe and goaltender Linus Ullmark will be signing autographs at Dave & Adam's retail store (8075 Sheridan Drive, Williamsville) as part of the Good Customer Card Show on Sunday, December 9th. The signing will be from 11:00am - 12:30pm, and tickets for any item are $15.95. The Good Customer Card Show will feature 30 vendors selling, buying, and trading their cards, memorabilia, and comics. There will also be 10% off trading cards during the show from 10:00am - 3:00pm. This will be their first Buffalo area signing, so be sure not to miss it!